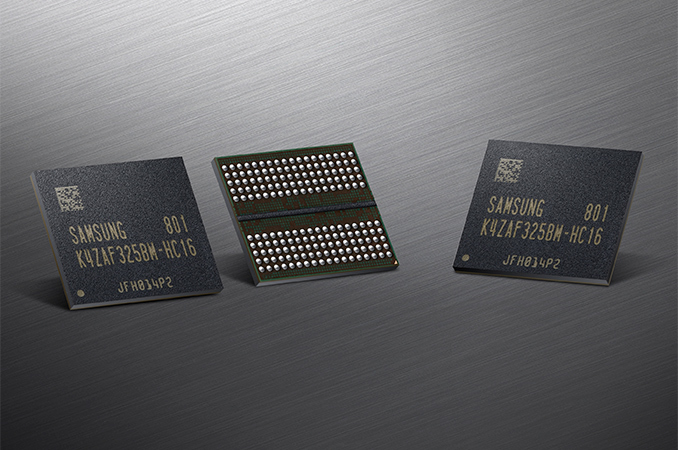 Cadence has announced that it has successfully taped out its GDDR6 IP on Samsung’s 7LPP fabrication process. The new building blocks should enable developers of various chips to be made using 7LPP and quickly and easily integrate support of GDDR6 memory into their SoCs. Cadence’s GDDR6 IP solution includes the company’s Denali memory controller, physical interface, and verification IP. The controller and PHY are rated to handle up to 16 Gbps data transfer rates per pin and feature a low bit-error rate (BER) feature that decreases retries on the memory bus to cut-down latency and therefore ensure a greater memory bandwidth. The IP package is available as Cadence’s reference design that allows SoC developers to quickly replicate implementation that the IP designer used for its test chip. Traditionally, GDDR memory has been used primarily for graphics cards, but with GDDR6 things look a bit different. Micron and a number of other companies are trying to drive GDDR6 to other applications as well. Apparently, they are not alone. Cadence says that its GDDR6 IP could be used for SoCs aimed at AI/ML, automated driving, ADAS, cryptocurrency mining, graphics, and high-performance computing (HPC) applications, essentially indicating interest towards GDDR6 from non-GPU developers. Meanwhile, being the world’s largest maker of DRAM, Samsung is clearly interested in adoption of GDDR6 by non-graphics applications. Cadence’s GDDR6 IP is available now for customer engagements with design files ready for select clients. Traditionally, GDDR memory has been used primarily for graphics cards, but with GDDR6 things look a bit different. Than doesn't explain why its different, just vendors are advertising it in other markets. GDDR memory hasn't been used in desktop or mobile since its more expensive, less capacity and uses more power. Meh, its still only a press release for a tapeout. Once they have some silicon and have signed up some customers we can start the real conversion.